Big Orange Cycling is a registered USA Cycling club that promotes competitive cycling in the Hermosa Beach area. 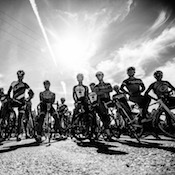 Cadence-CA is a registered USA Cycling club that promotes competitive cycling in the Hermosa Beach area. Use LocalRaces for simple, beautifully designed online running and cycling club hosting, membership processing and event registration.